Welcome to the eighth edition of the ACOSH Advocacy in Action e-bulletin. We aim to provide topical information on advocacy for tobacco control in Western Australia, Nationally and around the world. Please forward to others who may be interested. Thank you for your support. 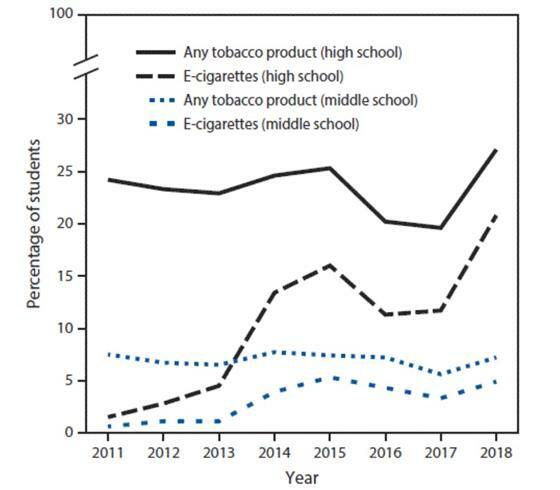 • A 78% increase among high school students (and a 48% increase in middle school students) in current e-cigarette use between 2017 and 2018. • Among high school e-cigarette users, current use of any flavoured e-cigarettes went up from 60.9% to 67.8%; current use of menthol- or mint-flavoured e-cigarettes increased from 42.3% to 51.2%. • During 2017–2018, overall tobacco product use also increased by 38% among high school students. This reverses a decline in recent years. 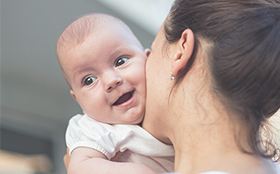 A recent analysis from the UWA Western Australian Pregnancy Cohort (Raine) Study has shown a strong link between low-income mothers who smoked while pregnant and the co-existence of obesity and depression in their children. In 2016, the US Department of Housing and Urban Development (HUD) issued a new rule requiring smoke-free buildings and a 25-foot buffer zone in public housing, which came into effect in July 2018. The policy is designed to protect the estimated 2.1 million residents who live in public housing in the US from secondhand smoke. ACOSH is advocating for a similar policy in all housing provided by the State Government in Western Australia.